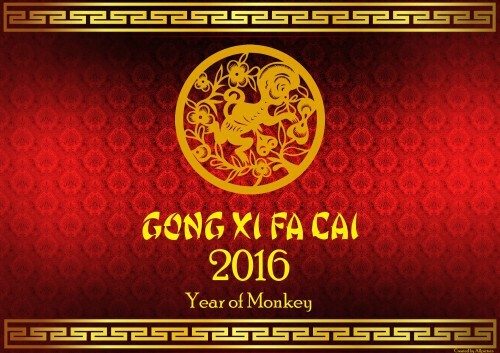 Chinese New Year also known as the Lunar New Year or Spring Festival in China is an important time of year. This is a traditional celebration of all the hard work done throughout the year and wishing all a lucky and prosperous new year. This week long celebration is also held across Sydney at several venues offering exquisite banquets and special menus. This year Sheraton on the Park's award winning restaurant Feast is celebrating the Year of the Monkey with the addition of a variety of traditional Chinese cuisine to their famous Buffet. 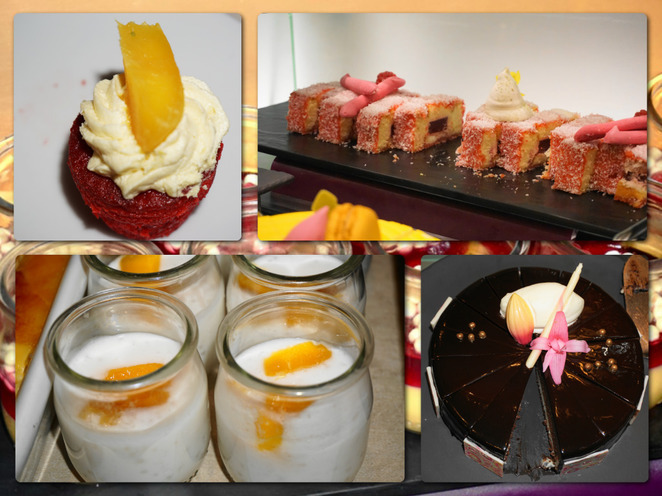 Feast is located on the first floor of the stunning 5-star Sheraton on the Park overlooking beautiful Hyde Park. The moment you enter the restaurant your eyes are greeted with a sumptuous smorgasbord of culinary delights, starting with the eye-catching rotunda of fresh seafood. Our host showed us to a lovely table by the window overlooking Hyde Park. The Feast buffet selection was explained and our water and wine order was taken. We eyed the room greedily. We had both eaten very lightly during the day, in full knowledge of the evening feast in store. 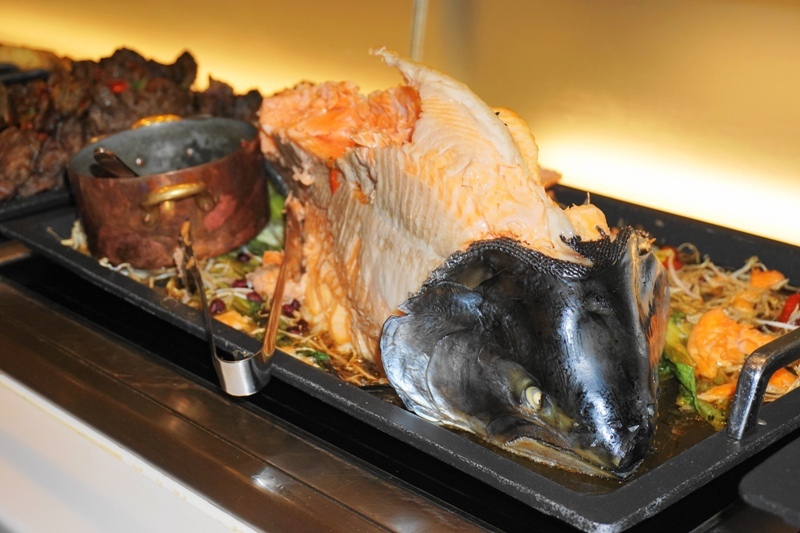 Though I had been invited by Sheraton on the Park to try the Chinese New Year Buffet, I couldn't help but be drawn to the showcase of abundant fresh Seafood. 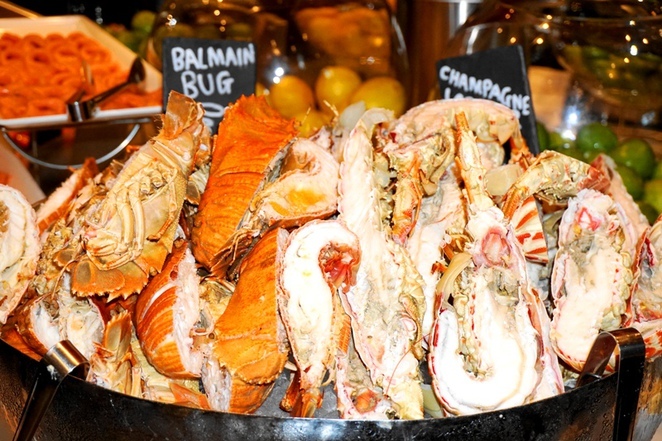 The Seafood extravaganza is hard to miss with such a large selection of fresh seafood on offer. 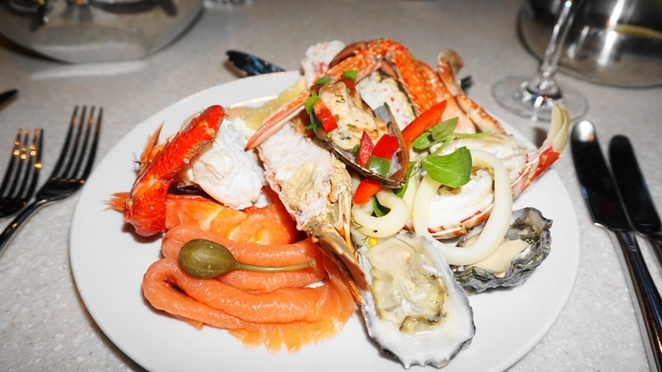 You are spoilt for choice - Champagne Lobsters, Balmain Bugs, Tiger Prawns, Banana Prawns, Smoked Salmon, Sydney Rock Oysters, Spanner Crab, Blue Swimmer Crabs and more. We filled our plates for our first course. 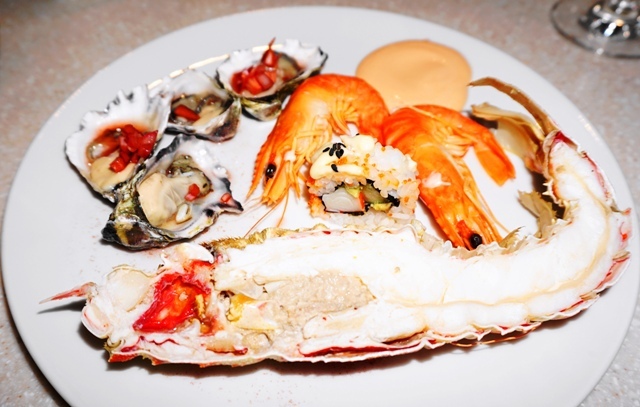 A mouthful of ocean ignited my taste buds with a symphony of salty-sweet flavours. It was a treat to have Champagne Lobsters in the selection and I couldn't help but return for second servings. 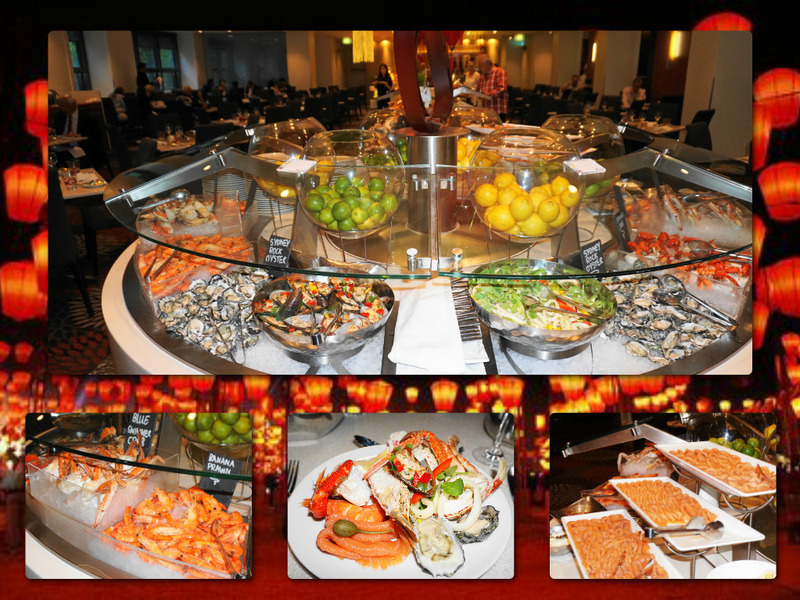 The middle section of buffet commenced with an assortment of fresh Sushi gleaming on platters, alongside another one of my favourites, Oysters Kilpatrick. 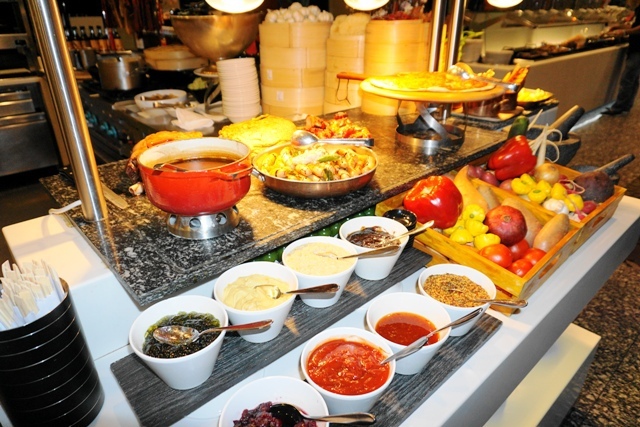 As you meander further you will find different types of Bread, Cheese, Roast Vegetables, Chorizo Sausages, Creamy Pumpkin Pasta, Noodles and Soup. My favourite main dish had to be the whole baked Salmon with Spinach salad. 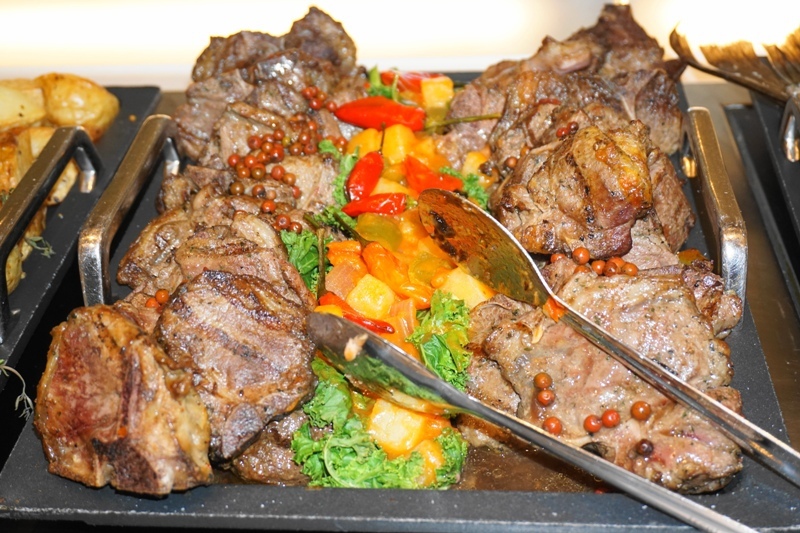 Cooked tenderly, it fell apart in my mouth. I also had to try small portions of Harissa Spiced Lamb cutlets, Quinoa, Spring Vegetables and Goats Cheese and Lemon Chicken. Friends of mine are always amazed how much I eat, meanwhile retaining a slim form. 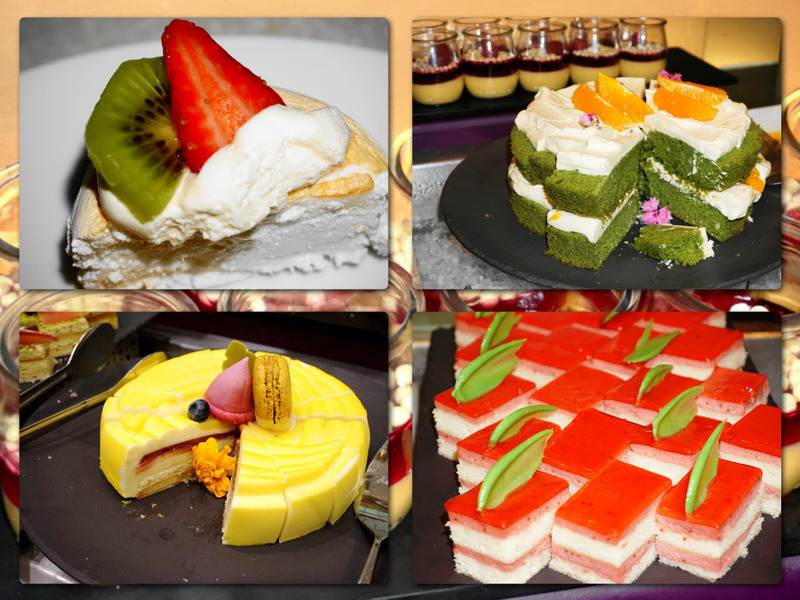 I had to admit I was starting to feel a tight stomach but I just couldn't resist such an array of delicious food. I was on a mission and hadn't even reached the Chinese cuisine counter. Eventually, I made it to the live Kitchen counter where you meet a bastion of food - Juicy Roast meats, Sausages, Vegetables, Pizza slices and Chinese New Year dishes. If you desire, the friendly Chef will serve you a Roast dinner with all the trimmings. I have been to this fabulous Feast Restaurant on several other occasions and used a level of restraint, enabling me to fit in a roast. 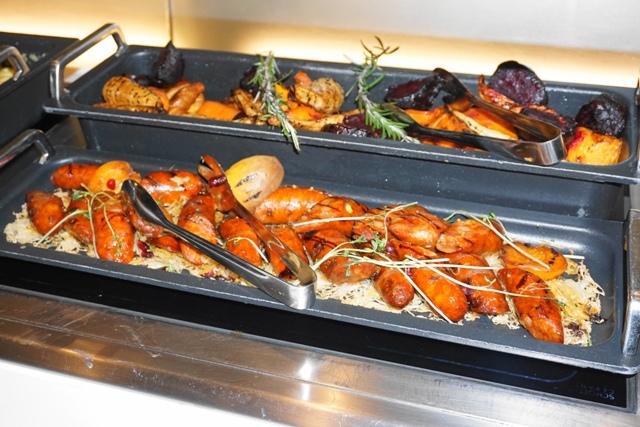 On this occasion, I could only gaze at the glistening roast meats and felt sad I was so full. Instead, the Chef made me a fresh Peking Duck Pancake and a small serving of Mussels in a creamy garlic sauce. 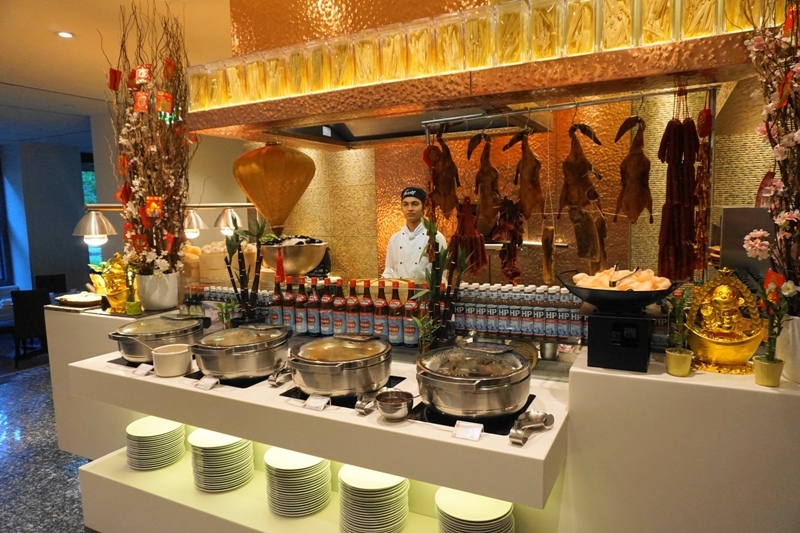 Meanwhile, he continued to prepare fresh ingredients to replenish the stainless steel chafing dishes on display. 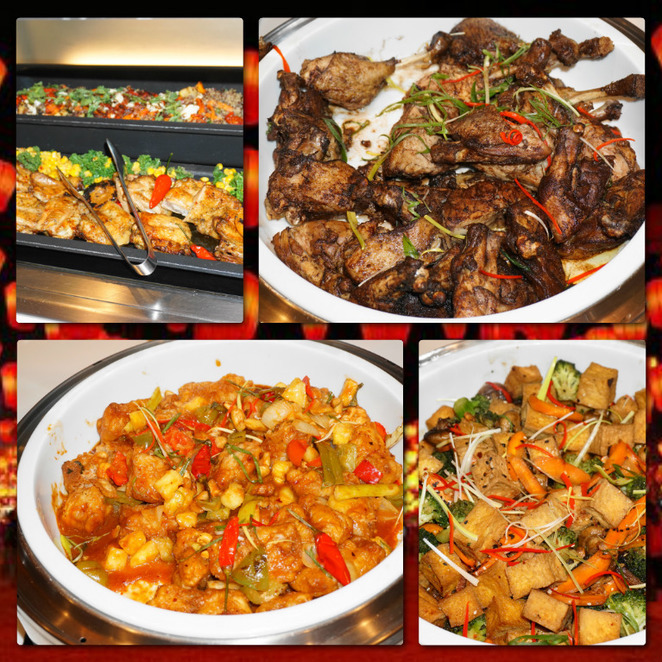 A variety of sweet to spicy Chinese cuisine was on offer. I was seriously unsure how I could fit more in. 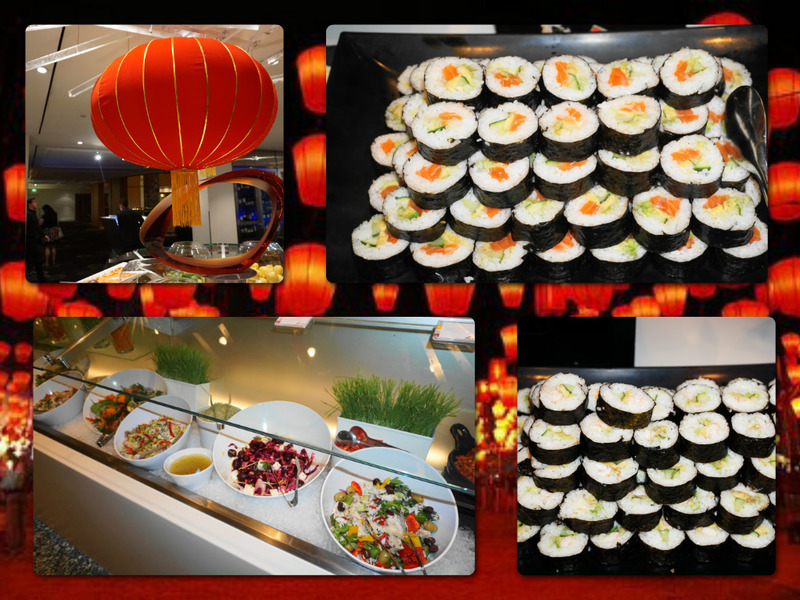 The display consisted of Crispy Fried Duck with Hoisin, Sweet and Sour Fish, Carrots, Broccoli, Tofu and Mushrooms with Oyster Sauce, Special Fried Rice, Noodles and more. By this stage, I felt my stomach expanding and was relieved in my choice of attire for the evening being a loose fitting dress. I had already consumed several plates of food. 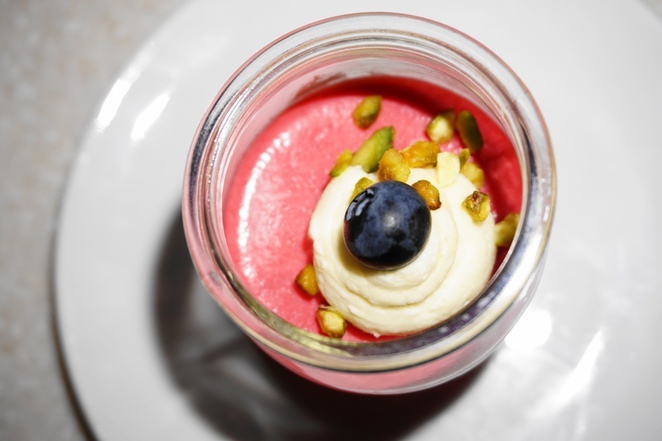 I had a short break sipping a lovely Chardonnay before embarking on the dessert spectacular. 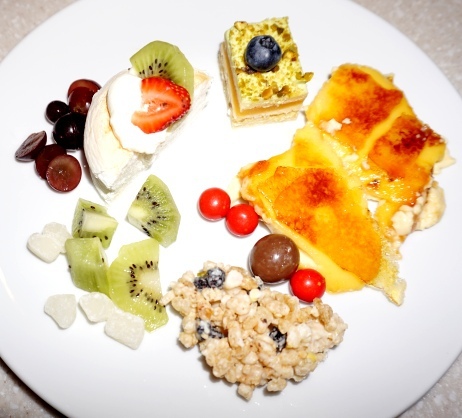 So many different desserts to choose from; Pavlova, Pistachio Sponge Cakes, Creme Brulee, Chocolate Tart, Tiramisu, Strawberry Lamington Slice, Lemon Tart, Asian Mandarin Sago Pudding. Sadly I could only fit in a small tasting. We discussed how if we had planned ahead, we would have been wise to book a room for the evening. No traveling home, just feasting and drinking with an easy walk to a luxury bed. Next time for sure! 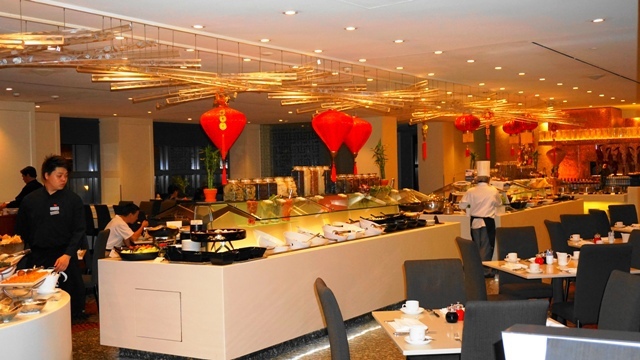 The Chinese New Year at Feast is truly an exceptional buffet that everyone must try at least once. 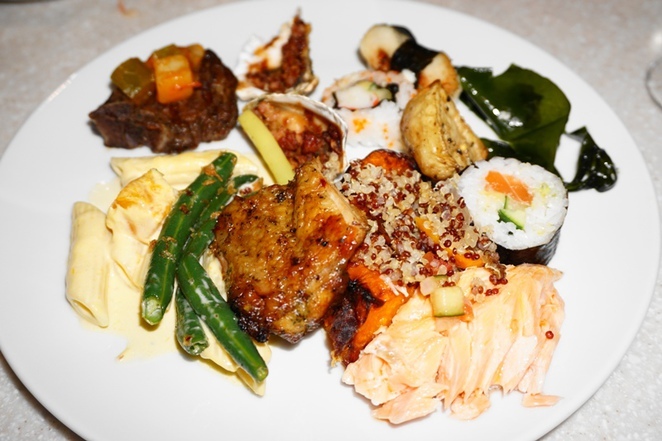 Even when it isn't Chinese New Year, it is one of Sydney's best Seafood buffets. Ideal for lunch or dinner for any occasion. from 1 February - 28 February 2016 at Feast. If you decide you might want to book a room. Rest assured you won't be disappointed. I personally have stayed at the Sheraton on the Park on several occasions, enjoying their Sheraton Executive Club Rooms. If you join Starwood Hotels (free membership) you will gain points, receive discounts and upgrades. Click here if you wish to read my review on one of my stays. 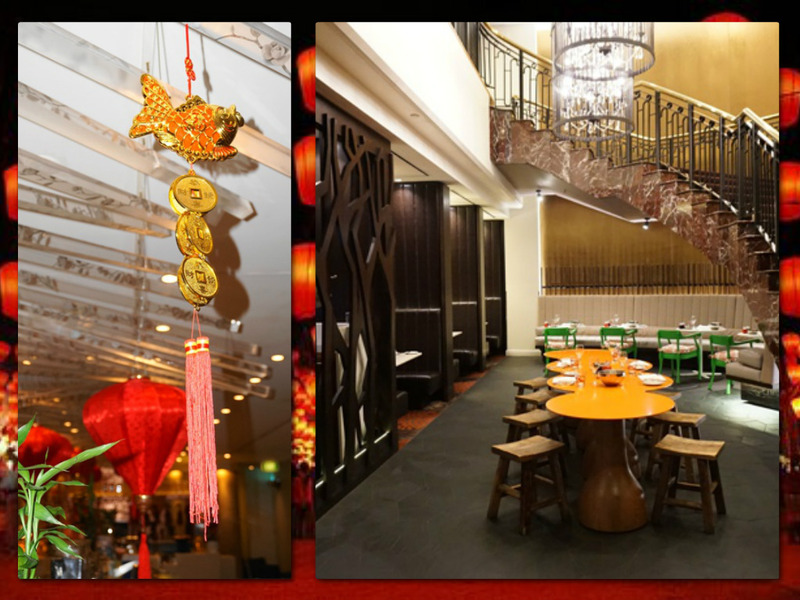 Otherwise, enjoy celebrating your Chinese New Year at Feast! 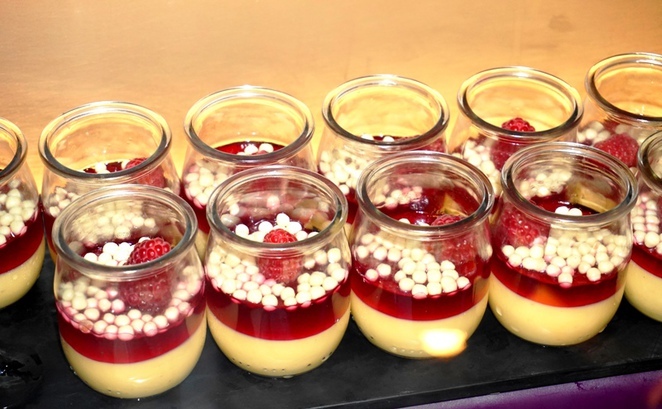 That looks amazing and delicious! 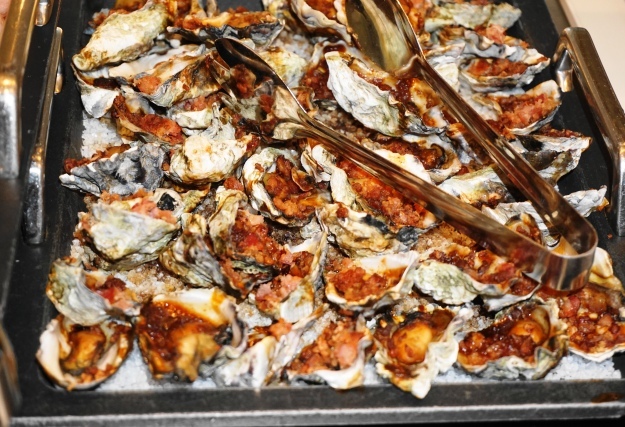 I always like to save room for dessert but it would be difficult what with all those oysters. That seafood buffet certainly is hard to resist. What an amazing spread. No wonder you took so many photographs.